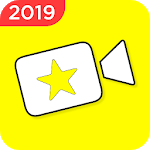 Best video editor for Youtube & Video Star & Free Video Maker with music &Slideshow Maker with transitions, easy to make a viva video&photo slideshow. Add movie effects to make music video, make imovie video with Effects. Free No Watermark Video Editor/Slideshow Maker. Everyone is a Video Star! 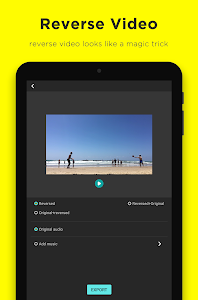 Video Editing app/movie maker with music, Free Video speed editor/Photo Video Maker. Easy-to-use Video Trimmer & Video Cutter. Youtube Video Editor for vloggers and video maker for TikTok to editing video. Easy edit videos with effects/filters/transitions to make vlog video/no crop video/music slideshow/imovie video. 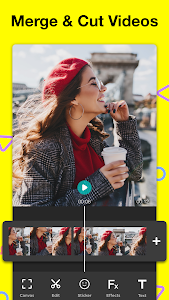 Edit HD video for Youtube, Instagram, TikTok, IGTV, Facebook, Messenger, Musical.ly, Twitter etc. ● Long video trimmer and video cutter. Split video into several video clips.No duration limits. ● Support for GoPro video/long video cropping. ● Merge video clips with 10+ Transitions. 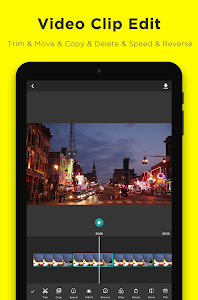 ● Combine videos without losing quality in the imovie maker/gopro editor. 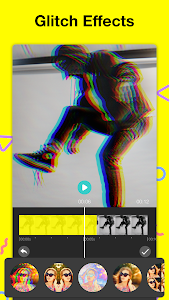 ● With the music slideshow maker to create photo music video with transitions. ● Merge photos to create photo slideshow with music(PIP Video). 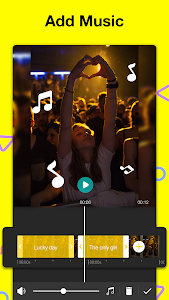 ● Combine picture and video in one video to make photo in video. ● 100+ music/songs to choose.Or add your own music on video. ● Video maker/Vlog editor with song/music&Photo Video Maker. Edit video with vlog music to make vlog video. ● 20+ groups free stickers and funny meme's and gifs/Emojis. 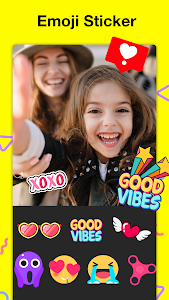 ● DIY stickers: Add your own photos on video. ● 10+ video filters/movie filters in video maker and 50+ backgrounds. 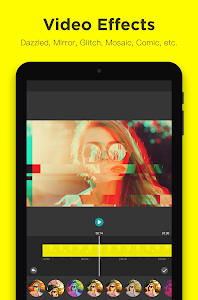 ● Video editor with effects : glitch, mosaic, mirror etc. ● 20+ free movie effects filters make your video cool. ● Free Video speed control with slow motion/fast motion control. ● Reverse video like a magic movie. 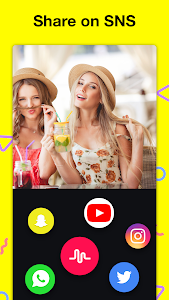 ● Easy to share video to YouTube, Instagram, Facebook, WhatsApp, Musically, TikTok etc. My Movie maker is a Free, No Watermark video maker&pro video editor&vlog maker&photo slideshow editor. With My Movie video editor/video editing app/photo video editor, cut and trim a long video into video clips, merge several video clips into one video with transition, crop video, change video ratio, rotate video, add blur background.Make slowmo or fastmo video with video speed editor and export HD video without losing quality, share videos to Instagram,IGTV,Facebook,YouTube,Twitter and Messenger. * Add a group of spring-themed? stickers. * Add a new group of video backgrounds. * Performance improved and bugs fixed. 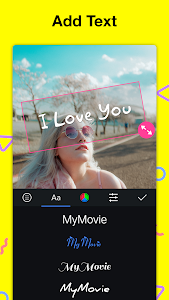 Similar to "Video Editor for Youtube, Music - My Movie Maker"